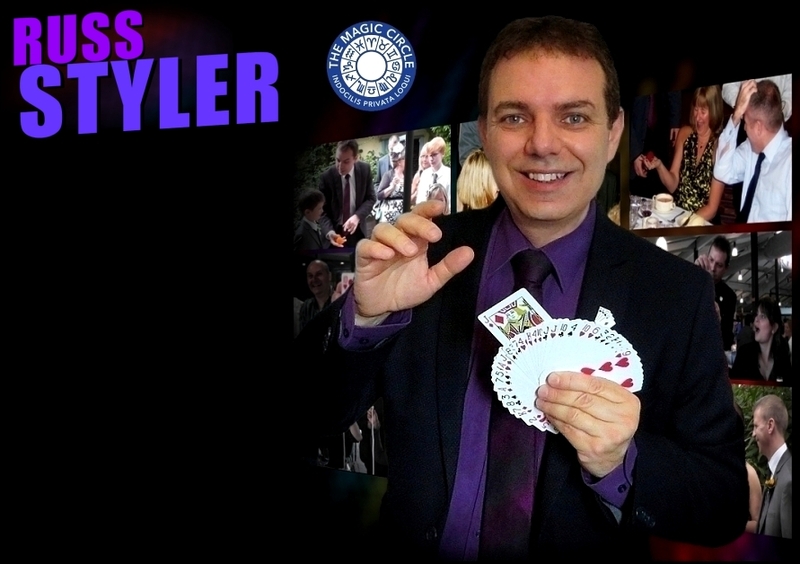 Russ Styler's combination of amazing sleight-of-hand magic and humour are the key factors that continue to make Russ a most popular, sought after choice of magician for events and parties in Stratford Upon Avon and the Warwickshire area. Whether it's a corporate function, wedding reception, a landmark birthday party, etc Russ has got you covered! 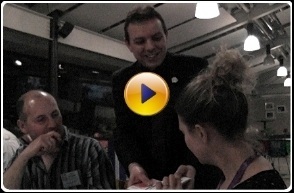 A highly experienced professional magician, over the years Russ has performed at countless hotels and venues throughout the UK including such notable ones as The Dorchester and Grosvenor House hotels in London. A highly experienced professional magician, over the years Russ has performed at countless hotels and venues throughout the UK including such notable ones as The Dorchester and Grosvenor House hotels in London. 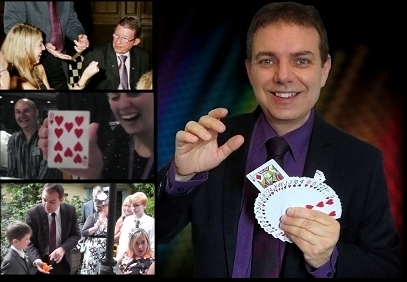 Russ has also worked summer seasons as close up and cabaret magician in the UK and abroad. So whatever the occasion or the venue; hotel, village hall, manor house, conference centre, restaurant, or even your own home, get in touch now for more information or a quote and maybe Russ will be bringing his magic to amaze and entertain the guests at your upcoming event or party! 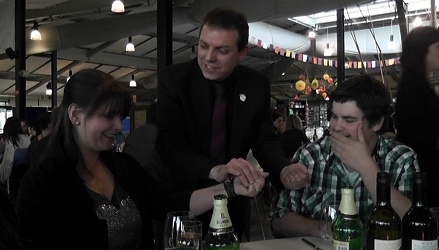 Hire a Close up magician - mix and mingle table magician or stand up magic show. Stratford-Upon-Avon. Weddings / corporate dinner parties / cocktail or garden parties / anniversary / misc family get-together / fun days / summer ball or student prom etc. Contact for fees / cost. Professional magical entertainment. Whatever the occasion or the venue; hotel, village hall, manor house, conference centre, restaurant, or even your own home, get in touch now for more information or a quote and maybe Russ will be bringing his magic to amaze and entertain the guests at your upcoming event or party!